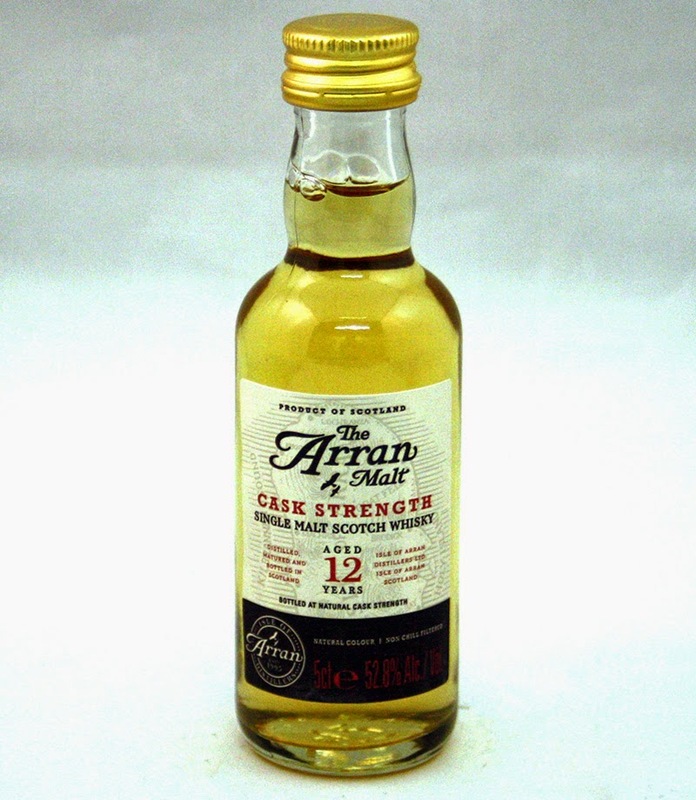 This is the miniature edition of the 12 year old cask strength. None of the batches produces of this is bottled at 52,8 %, so this miniature is a bit unique. You can still find it on the internet for sale some places. The smell has marzipan sweetness but still the salty touch of the Islands! Salted nuts perhaps. What a lovely palate. Sweet berries very well balanced with toasted oak. The finish is great and with the 52,8 % it just stays in the mouth. Try with some water and it will be a bit more approachable, and I think that some lemon grass and grass notes appear. This is so much better than the 10 year old, and I can’t wait to taste the different batches of the 12 year old Cask Strength. I will rate this 88/100 (22/22/23/21).